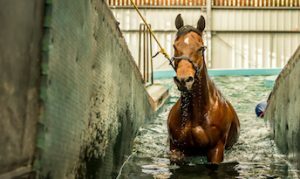 Swim your horse in our Equine Swimming Pool. 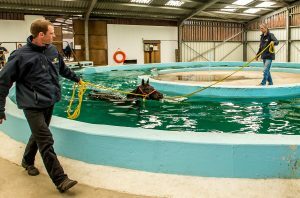 At Coombelands Racing Stables we have our own indoor equine swimming pool, an essential facility for training horses. 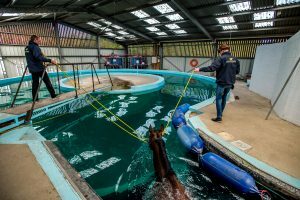 The pool has proved to be an invaluable training aid that can be used to maintain a basic level of fitness for horses that are recovering from injury and can be an integral part of training regimes for specific horses. Ligament injuries, tendon injuries and stress fractures are given ‘weightless’ exercise in the pool, rather than standing in their boxes. If you are interested in hiring the pool for your horse please fill in the form below and a member of the team will get back to you as soon as possible.